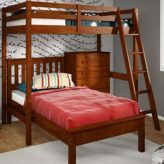 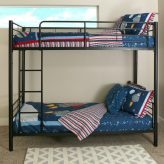 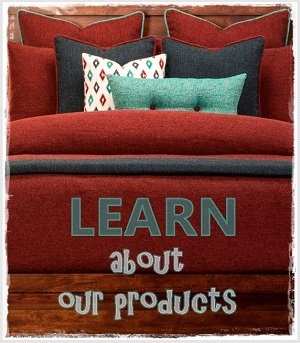 Looking for top quality kids beds? 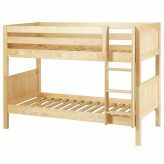 We have all styles including bunks, lofts, daybeds, tent, study lofts, stair step bunks, and more made of solid hardwood or metal for long lasting beauty, durability, and safety. 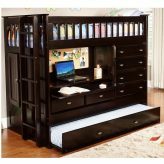 All our products meet or exceed CPSC safety standards so you can be assured your child’s sleeping in a safe environment. 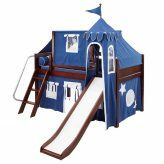 Our collection ranges from simple, practical, and economical to fun, playful, convertible and even extravagant. 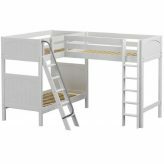 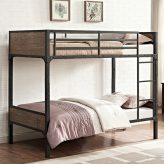 Turn a single twin into a loft or add another to make it a bunk. 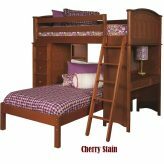 One bed can truly last your child for a lifetime when it can be reconfigured as your child’s needs and desires change. 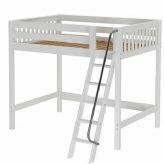 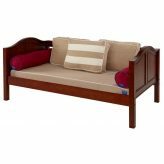 Start with the basic twin toddler daybed when your child is ready to leave the crib. 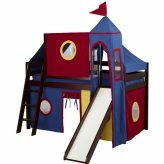 Use it with guardrails for safety and a top tent for fun. 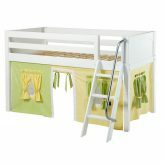 When your child is ready to sleep elevated, start with a low loft with play curtains. 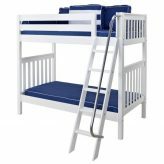 Gradually, move to a mid sleeper or high loft, even bunks. 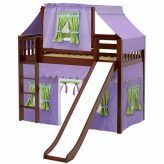 Now that is economical and practical! 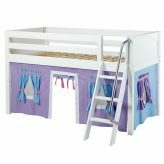 Your child will spend much time in their bedroom sleeping, playing, relaxing with friends. 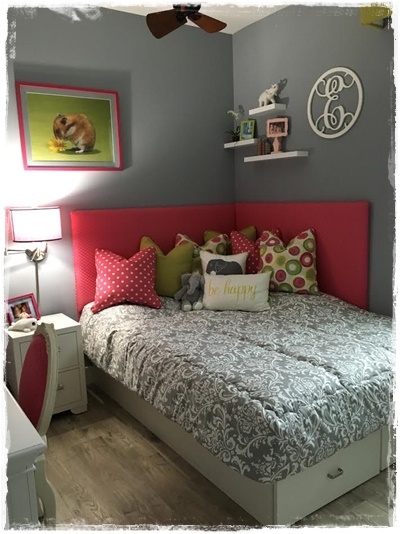 So turn that bedroom into a retreat they will love to be in and it might even make bedtime enjoyable. 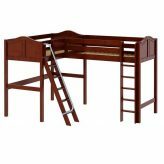 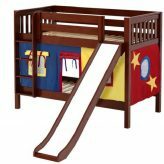 Explore our many types of children’s beds today! 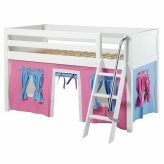 Give your child the room of their dreams with all types of kids beds – bunks, lofts, step bunks and tent lofts!